A "portfolio" is a key tool in presenting your talents to prospective customers. With worksheets, checklists and countless tips and techniques, I show you how to create a portfolio step by step. You'll learn how to establish yourself as THE home staging expert in your area and win business! Over 100 pages of practical no-nonsense information to help you succeed. Registration is now open for the April Live Staging Diva TeleClasses. I only take 15 students in a conference call. All notes are emailed to you in advance. You get a phone number and password to join your fellow students and me in the live calls on the 5 designated evenings. Get the April 2008 schedule and register before it's full. I also review and edit all directory listings, before they go live and create the tags for search engines to find you. Now that we're firmly into the key spring real estate market, I wanted to focus this month's newsletter on how you can make the most out of this time of year as a new or established home stager. This is the time to carefully evaluate your pricing strategy and I've given you some tips in this issue. As an aside, I just had a plumber in to snake a toilet and adjust the drain in a sink. He was here for 20 minutes and it cost me $279 including tax. Why are home stagers so afraid to charge what they're worth when our clients make tens of thousands of dollars from our advice? If you're anything like me, you probably take dozens of photos of each room before and after you stage it. Over time, you'll quickly find yourself buried in thousands of photos. How to keep track of it all? I offer my tips and what I learned the hard way in this issue. One of the keys to attracting new clients is a strong portfolio. This means not only the photos it contains, but also how you write about the benefits you offer your clients. Remember they'll only hire you if you can demonstrate that you're a solution to their problems. Are you doing that? Does your home staging portfolio need a spring tune up? Thanks to all my readers who sent messages of condolences last month. Your heartfelt words were deeply appreciated. I hope you find the content of this issue of Staging Diva Dispatch helpful. I welcome your feedback and/or new story ideas! Best wishes for the spring real estate market and any vacation plans you may have for March Break! P.S. If you missed the Preview session I ran in February, you can listen to the recording here. How Much is Home Staging Worth? For example, preparing for a client appointment, answering potential clients’ questions in advance, scheduling and re-scheduling appointments, travel time, follow up calls (before, during and after the project), keeping track of client expenses and time on each project, bookkeeping, standing in line at the bank, etc. This house sold for $71,000 over asking. My client invested about $900 in my advice during a home staging consultation. Someone could easily say, "wow, $900 just for advice, that’s a lot of money!" But if you asked, "what if you could invest $900 and make $71,000? ", few people would consider that too expensive. 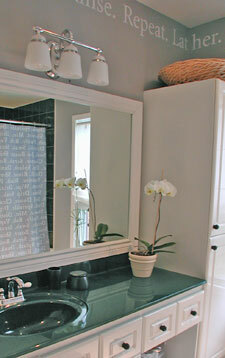 Home Staging is an investment in a potentially significant financial return for the client. Consider this when determining your rates. You have limited "inventory" so make sure you’re not always "on sale!" Since you can’t manufacture more hours in a week, the only way to earn more is to charge more for your time. The Staging Diva course "The Business of Home Staging: What you need to start and how to grow" includes a detailed discussion of pricing strategy. If you’ve already taken the course, now is a great time to review your notes so you make sure you earn what you’re worth during this key spring real estate season. If you haven’t taken course 2, you can order a recording of it right now for only $199. You’ll make that back easily on your first client because I share with you everything I’ve learned about pricing based on my MBA training and the real world experience of being an independent entrepreneur since 1989. In Staging Diva course 2, you’ll learn what I charged clients five years ago and how I systematically increased my rates over time. I’ll share the single biggest discovery I made in how to best price home staging services for pr0fit. You’ll also learn what other home stagers charge and how to avoid their mistakes! I struggled my whole life with the fact that I was creative but at the same time I was raised to believe that I had to earn a living. I was scared to study art at university thinking that would mean I'd end up as a "starving artist" and disappoint others. Instead, I spent over 20 years wondering how my life could have been different and more satisfying if I hadn't been so practical and done a BA in Communications and a Masters degree in Marketing. Discovering home staging in 2002 finally allowed me to take my innate talent for decorating and interest in real estate and turn it into a successful business. I was finally using my creativity instead of feeling stifled and frustrated! As my staging company (Six Elements) got known, I started to hear from hundreds of people who wanted to do the same, but didn't know how. That's what motivated me to create the Staging Diva program in 2005. I wanted to give others a way to use their own creativity and build their financial independence too! Here's what April Fitzpatrick of Stage the Way (LA) wrote this past week, "I can't tell you how empowered I felt taking the Staging Diva Program! I only regret starting a staging project before listening to your training. I have done SO many things wrong. Thank you for generously sharing your knowledge. In 10 hours of instruction, you have saved me from years of being underpaid and overworked! I can't thank you enough." It was a bit of a Staging Diva reunion February 21 when we had the first monthly meeting of Staging Diva Dialog. It was great to reconnect with Staging Diva Graduates and share new ideas for taking their businesses to the next level. Gary Baugher of An Eye 4 Change (TN) wrote me after, "I feel last night's first Staging Diva Dialog Q & A session was a success. Your support and passion for the business continue to amaze me." Already a Staging Diva Graduate? Learn how to sa.ve. $10/month on Staging Diva Dialog membership right now. how will you keep track? I've staged hundreds of homes over the last five years and along the way I've accumulated over 7000 before and after shots. I tell you this because I've got myself into quite the mess, not adequately thinking through how I'd keep track of all these images for easy retrieval months or years later. For clarification, these are all digital images stored on my computer (and backed up of course). Since real estate is a passion of mine, I'm better at recalling a house/project by the street name rather than the name of the client. So, I filed all my before and after photos in digital folders with the home's address as the file name. That worked great for a while, say the first few thousand images. But memory loss (mine, not the computer's) being what it is, years later I can recall the house where I transformed that fabulous living room. In fact I can even picture all the rooms and the neighborhood, but I have no idea anymore exactly what street it was on. So how do I easily find the photos of it? This "system" would also serve you well when the media requests photos for a story. I had to send shots out to three publications recently and usually they'll ask for something specific, like a "bathroom makeover", or "staging a vacant home". If I used this system it would be much easier to scroll through my selections of that type to decide what to send. Here's another tip: Your digital photo comes out of the camera with a title like "DSCN0079.jpg". Store your original photo and when you rename it, keep the number in the name. For example, your new name might be: "kitchenaft0079.jpg". If you resize the image for a certain purpose, it would become "kitchenaft0079sm.jpg". That way you'll always be able to get back to the original image if you want to do something else to it! This is an example of what I've learned in the trial and error of running my own staging business over the last five years. I share tons of practical advice like this in the Staging Diva Home Staging Business Training Program. Congratulations to Staging Diva Graduate Susan Rutter of Staged by Susan, LLC (OK). Within a month of joining the Staging Diva Directory of Home Stagers she wrote to say that she has a new client, a builder with model and new homes to stage. He wants to have an ongoing business relationship with Susan. Talk about a quick pay back for her investment in training and joining the directory! Congratulations to Linda Vervoorn of Same House New Look (ON) who, within only 2 short weeks of joining the Staging Diva Directory of Home Stagers, was invited to quote on staging a vacant $2.5 million dollar home! In last month's issue of this newsletter I wrote about the importance of letting opportunities find you. This is a perfect example of that principal at work! Congratulations to Staging Diva Graduate Michele Hess of Simply Staged Inc. (IL) who had the courage to contact two editors which netted her a cover story in Rockford Woman Magazine "Michele Hess: Making houses for sale feel like home" and inclusion in an article in the Rockford Register Star entitled "Spicing up empty spaces." 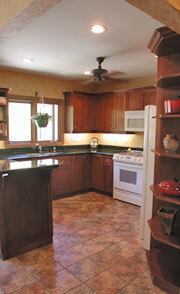 Michele's participation in the local Parade of Homes gave both articles a newsworthy angle to cover her company. We discuss how to get media coverage like this in course 4, Staging Diva Sales and Marketing Secrets To Boost Your Home Staging Business. Congratulations to Donna Dazzo of Designed to Appeal LLC (NY) on her radio interview on home staging February 16 for WFUV-FM, the public radio station in New York City. This will boost Donna's reputation as the local home staging expert which means clients will be willing to pay more for her services. This is a key strategy discussed in the Staging Diva Home Staging Business Training Program. Pat McArthur of McArthur Home Staging and Design (ON) switched from monthly billing and signed up for a full year's participation in the Staging Diva Directory. Not only is this a commitment to building her business, she s.a.v.e.d. $90 with the switch. Find our how you can s.a.ve. $90 too! Can potential clients easily find you? 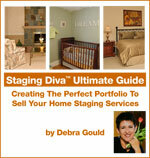 Learn how you can join the Staging Diva Directory of Home Stagers. You don't need to know anything about how to build a website because we do it for you. Congratulations to Libby Telford, Style it Right LLC (NC), for completing her own website within weeks of completing the Staging Diva Training Program. This is a beautiful site. Great content, great photography and professionally designed. Libby is well on her way to establishing herself as THE home staging expert in her local market. Libby writes: "The Staging Diva Program is chock full of pertinent information, inspiration and motivation. Thanks again for a wonderful training experience. Debra trains at my speed and thinks at my level. I love her no-nonsense style. I'll be up and running next week with two leads for my first projects already. I'm very excited about this business." Congratulations to Staging Diva Graduate Leah Fritz (WI) of Perfect Place Home Staging, LLC. Leah completed the live courses with me in November 2005 and it's been a pleasure to watch her business grow ever since. Leah doesn't know this but I had her pegged as one of the future Staging Diva success stories right from the beginning because of what an active participant she was in the program. I just got an email from her that says, "My office phone is totally lighting up! I've booked 3 jobs in the last hour, plus I have more emails to work, and voice mails to review! All this on top of the 2 major projects I've been juggling over the last few weeks. I'm running out of space on my calendar! It's happening Debra! I'm on a Gold Medal Run!!!! I just had to share my excitement with someone, and the first person I thought of was you. Right now is once more the perfect time to say.... Thank You for Everything! I couldn't have gotten here without you, and the Staging Diva Team, at my side!" Leah is one of the charter members of Staging Diva Dialog Program and I look forward to her questions in our monthly Q & A calls for Graduates. I know she'll have great questions as always, which will benefit the whole group. Staging Diva Students and Graduates, send me your successes so we can celebrate your triumphs and inspire others! PLUS, being included in this newsletter gets you a F/ree home on my newest website (the more links I provide you with, the better for your business growth). The Chicago Tribune interviewed me for a story on home staging and why it's so important in a slowing real estate market. Unfortunately, they wouldn't give me a publishing date but said it would be in the Real Estate section of the paper some Sunday over the next month. I've got a F/ree gift for anyone who can send me an actual copy of the newspaper article! Among other things, the story builds awareness of the fact that there is no such thing as official home staging credentials and directs readers to The Staging Diva Directory of Home Stagers to find a home stager in their area. It’s important to spread the word about home staging to homeowners, home sellers and real estate agents. To that end, I’ve started writing regular columns for American Chronicle. Read one of my recent stories, "Desperate Home Sellers Turn to Home Staging For a Competitive Edge." Read more about Staging Diva In The News and remember that all this coverage creates more staging project leads for Staging Diva Graduates. There are hundreds of jobs posted in my blog plus all the others generated through the Directory Of Home Stagers.